Productivity Wednesday: Get your inbox under control! Remember when hearing “You’ve Got Mail!” made your heart leap in excitement, anticipation building for what special message could be waiting on the other end? How fast times change. Now that little red number hovering over the inbox icon leaves us feeling overwhelmed and terrified. Getting an inbox down to zero is a rare victory, one met with another day and more emails. The key to email management is simple: recognize email is a daily task and should be treated like any other project. This means it should be time boxed, collaborative and subject to a set of rules or expectations. There are lots of resources out there suggesting varying amounts of time that should be spent answering email to be effective–15 minutes every hour, check twice day for 30 minutes, etc. The challenge is no two jobs are alike. Email management is highly personal and therefore needs to work within your current system. Instead of worrying about how much time is spent on email, work on making the most of the time spent. For example, use filters or labels to flag emails that take additional research or require follow-up with colleague. 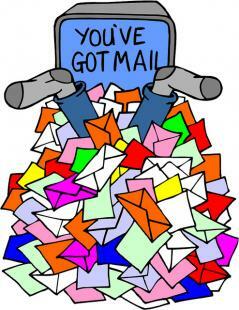 Everyone has an email inbox they are trying to get under control…you are not alone! When email management is viewed as a shared problem, it is easier to establish a workflow that benefits everyone. If volume of emails is a problem across the company, perhaps other mediums are more appropriate for certain types of messages (i.e. an internal chat client or blog). Additionally, setting up email workflows between teams helps cut down on miscommunication and makes sure the right person is addressing the problem. When beginning a project, all parties involved understand their particular tasks, the goal of the project and any rules governing its success. Email management should be treated no differently. Set expectations with your colleagues and/or customers regarding response time–and don’t break them! Saying you will only respond immediately to emergencies and then answering a non-emergency email sends the message staff or customers can manipulate your system. Also, share your communication preferences. Maybe a phone call or text would be better for a certain time of day or particular types of questions. Already an email master? Let us know what tips and tricks have worked for yo!